We will be having a special service to celebrate St Francis’ Day! The service will begin at 5pm followed by a shared evening meal. “I beseech Thee, O Lord, that the fiery and sweet strength of Thy love may absorb my soul from all things that are under heaven, that I may die for love of Thy love as Thou didst deign to die for love of my love.” Writings of Saint Francis of Assisi. Dolphin Press, 1906. Francis of Assisi, S., & Robinson, P. (1906). Writings of Saint Francis of Assisi (p. 145). Philadelphia: The Dolphin Press. 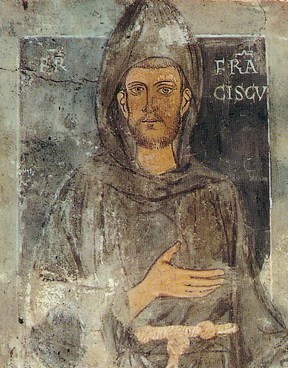 Oldest known portrait in existence of the saint, dating back to St. Francis’ retreat to Subiaco (1223–1224) License: Public Domain from Wikipedia.